Yeast Colon Cleansing, Just How Important is It? I wanted to explain the importance of yeast colon cleansing for yeast infections. Why they relate to one another and why an unclean colon promotes the growth of candida yeast and other bad pathogens, microforms, and disease. I have also included a picture to show you this relationship with my explanation. In the 1800's French biologist Antoine Bechamp demonstrated that dis-ease causes germs. The germs or bad bacteria are already present in the intestinal tract. When things get out of balance, the bad bacteria can multiply, which allows the disease to spread as they weaken the immune system. They come from within, not from without. His student Louis Pasteur, announced that his studies proved that germs cause dis-ease. That the bad bacteria came from the outside of the body and attacked it making it sick. Modern medicine adopted this theory and an endless flow of drugs to combat the enemy from without have been created ever since. Pasteur later recanted on his death bed and admitted Bechamp was right, but it was to late. Modern medicine had firmly adopted his theories. Medicine would be a lot different today if it had adopted Bechamp's theories instead of Pasteur as you can imagine. I believe the truth is somewhere in the middle, that we get attacked form imbalances within and from without. Let's examine this a minute as it relates to yeast colon cleansing and over all health. "The improper balance of beneficial bacteria can cause problems, a condition also known as bowel dysbiosis." She also goes on to say that even though your bowel contains beneficial bacteria, unfriendly bacteria that is normally present in the human intestine can get out of control thru the overuse of antibiotics and improper diet. It is not only the bad bacteria that does harm, but also their waste. She says, (referring to dysbiosis), "This creates an ideal breeding ground for harmful bacteria, fungi, viruses, and causes more imbalance in bowel flora." What Is Dysbiosis and What Does That Have to Do With Yeast Colon Cleansing? Dysbiosis is usually caused by bad diets largely containing processed grain foods and an over abundance of sugar. Grains sit in the intestine and ferment, which creates alcohols and toxins that kill good bacteria. They do this because they are not as rapidly digested as real whole foods that contain enzymes to help the body with digestion. They also are very low in fiber so they tend to stick to the intestinal walls slowing their exit from your body. A meal high in processed simple grains and sugar can take up to 100 hours to travel the length of your intestines and be disposed of. Think about that! This sewage and waste is sitting in your intestine fermenting for 4 days and 4 hours, killing good bacteria and altering your intestinal ph in the process before you get rid of it....and this can cause the condition know as Dysbiosis. Dysbiosis has been linked to Candida, Yeast Infections, Vaginitis, Urinary Tract Infections, Irritable Bowel Syndrome, Ulcerative Colitis, Crohn’s Disease, Diarrhea, Constipation, Rheumatoid Arthritis, Pancreatitis, Ear Infections, Lupus, Breast Cancer, Cirrhosis of the Liver, Acne, Premenstrual Syndrome (PMS), and Psoriasis. Poor diet and antibiotics cause most dysbiosis. All these illnesses will disappear or greatly improve when you follow this yeast infection treatment plan found on this website. Good bacteria keeps the ph of the intestine balanced and in the correct range for good health by producing vitamins, helping us absorb nutrients, producing lactic acids and hydrogen peroxide, and most importantly cleaning up the colon wastes. An imbalance leads to an intestine full of backed up waste and low ph. 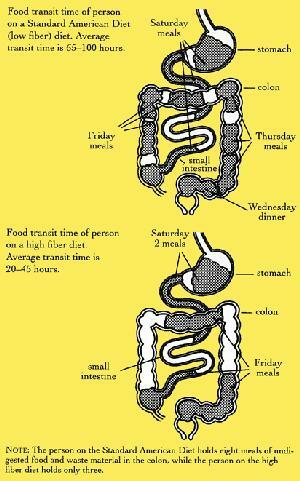 The normal digestive process if you eat three meals a day, is to have 3 bowel movements a day! If your not, you are altering the ph of the intestine and it becomes to acidic. The increased acidity allows this backed up sewage to alter the balance of the life forms found there. Bad bacteria and viruses thrive in acidic environments because an acidic environment lacks oxygen and this reduces immune system function. "An epidemic of candida and yeast overgrowth has swept our nation. When the body's delicate balance of good bacteria and yeast is out of balance, a host of symptoms can result, ranging from relatively simple GI disturbances, such as bloating, intestinal gas and irritable bowel syndrome, to major disturbances such as psoriasis, colitis, and Crohn's disease." "It is an indisputable fact that illness, old age, and even death itself are due to the accumulation of waste products (within the body) ... to the inability of the body to replenish its cellular structures and organs with fresh, vital nutrients." It appears Bechamp was right doesn't it? All the doctors above agree that an imbalanced intestine allows yeast and bad bacteria to get out of control and is eventually responsible for death itself. The upper part of this picture shows the average transit time of meals from a person on the Standard American Diet of processed grains, sugars, and other junk food. It typically takes 100 hours for a meal to make its way through the intestine before it is disposed of. The person on the SAD diet also holds 8 meals of waste in the colon while the person on the right diet only holds three. The lower section shows the average transit time of a person on a high fiber diet or the right diet. Now I don't mean a high fiber diet full of whole grains either. I mean a whole fiber diet consisting of plenty of fresh fruits, vegetables, beans, nuts, and seeds. You must also consume good fats everyday. The Standard American Diet promotes a toxic environment because it sits in the intestine for so long and the fermenting waste lowers the ph of the intestine. All disease, viruses, bad bacteria and parasites thrive in an acidic environment because it lacks oxygen and food is plentiful. This acidic toxicity slowly destroys the intestinal integrity of the walls of the intestine which can lead to leaky gut syndrome. Leaky gut syndrome causes food allergies, skin rashes, breathing difficulties, hives, fevers, and immune system problems to name a few. Note: Gluten, especially from wheat, also causes leaky gut syndrome. A diet full of whole fresh foods cleanses the colon and strengthens the intestinal walls. Vegetables and fruits also feed the good bacteria that defend us from the foreign pathogens that are present in every one of us. They also raise the intestinal ph making it more difficult for these pathogens to survive and make us sick. Yeast colon cleansing is important because you are immediately removing a source of food. You are also getting rid of any possible parasites and their wastes that may be complicating this entire problem. Yeast colon cleansing also helps to raise ph in the intestine, which promotes the growth of good bacteria and the death of bad bacteria and excess yeast. Your digestion is going to greatly improve and this benefits your overall health because you are now absorbing the available nutrition from your foods. During this yeast colon cleansing period it is also an excellent time to cleanse the liver and gall bladder flushing them of any gallstones and toxins. But do this after you do the colon cleanse so it has room to dump its load. A person should really do this for one or two months every year if they don't follow an optimal diet. If they do follow a good diet then possibly every two years would probably be sufficient. Why two months? Because if you do have parasites, in the first month you will not kill the eggs and they will hatch in the second month and now you are re-infected. I like the Ultimate Colon Cleanse for yeast colon cleansing. You need at least the 2 Pack to get rid of all the parasites, wastes, and remove excess candida yeast. The Ultimate Cleanse also contains herbs designed to strengthen the intestinal wall and help repair any leaky gut along with a 2 month supply of an 8 strain probiotic. For long term colon health for people that do not follow an optimal diet, or even do follow a good diet, after the cleanse it is a good idea to take probiotics to help keep you cleaned out and keep the bad microforms under control. Of course you have to take a strong enough dose to accomplish this and everyone is a little different. However, the dose would be whatever it takes to achieve 2 bowel movements a day or one large one. That could be 50 billion bacteria or 300 billion bacteria. You just have to experiment and find the right dose for you. Any questions about yeast colon cleansing please fell free to contact me from the contact page of this website.